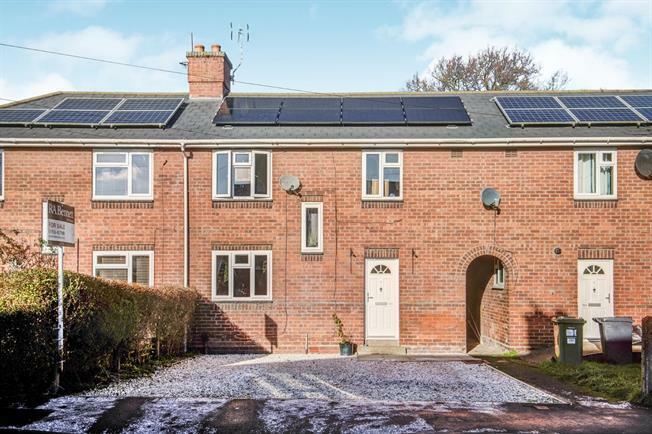 3 Bedroom Terraced House For Sale in Leamington Spa for Offers in excess of £230,000. A well presented three bedroom mid terrace property, benefiting from having a generous sized garden and driveway to front, located within walking distance of Leamington Spa town centre and Leamington train station. The accommodation comprises, an entrance hallway, dual aspect living dining room, kitchen and downstairs cloakroom. Upstairs are three bedrooms and a good sized family bathroom. Outside offers an enclosed generous sized garden to the rear and driveway to front.